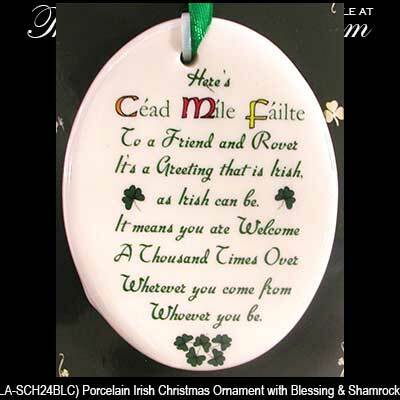 Irish Blessing Christmas Tree Ornament with Shamrocks and Céad Mile Fáilte. 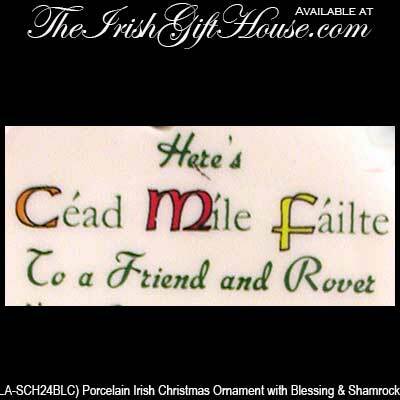 Green, Red & Yellow Design on White Porcelain, Ready to Hang with Included Green Ribbon. 3" x 3 3/4", Oval Shape.